It is not an overstatement to say that 2015 may be looked back upon as the year that we began winning the battle to protect wildlife from the immense harms of runaway climate change. The accomplishments of 2015 are amazing, and looked almost impossible just a few years ago. The first ever carbon pollution limits were placed on our power sector. These standards – called the Clean Power Plan – will create a flexible framework that will result in at least a 32 percent reduction in harmful emissions from our electric utilities by 2030 and spur innovation in sustainable renewable energy. Leaders of nearly every country came together in Paris to agree to do their part to ensure that carbon pollution is reduced to levels that do not exceed dangerous warming of 2 degrees Celsius above the pre-industrial era, the level scientists agree will cause catastrophic impacts. Since severe consequences will occur even with 2 degrees of warming and we’re already at about 1 degree of warming, leaders set a ground-breaking aspirational goal of 1.5 degrees C.
For the first time ever, a major fossil fuel infrastructure project – the Keystone XL pipeline, which would have enabled the transport and extraction of carbon intensive Canadian tar sands oil – was rejected by the President based on concerns over its impacts on the climate. Such a pipeline would have had serious and direct negative effects on wildlife and habitat. Changing markets and changing attitudes stalled major destructive coal projects, like the Tongue River Railroad and coal export terminals on the west coast, while renewable energy growth and job creation continued to soar. The first ever offshore wind power project in the U.S. broke ground, promising to tap into a massive, renewable energy source that can power our biggest cities. Bi-partisan acknowledgement of the problem of climate change continued to grow, with Republican Senators Collins, Ayotte and Kirk voting to support the Clean Power Plan, and a growing number of Republican House members publicly calling for policies to reduce climate risk and spur renewable energy expansion. Of course our work is far from done and climate change continues to pose the gravest threat to wildlife. With a warming world comes habitat shifts, and many species are finding themselves without a home. 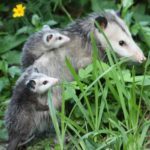 The National Climate Assessment shows that wildlife and communities are already feeling the impacts of climate change with rising seas, heavier precipitation, changes in growing seasons, decreased cold and snow pack, increased pests, devastating wildfires and droughts, and other harmful impacts. To slow and stop these impacts, we must continue to build upon the progress we’ve made. As such, we must pursue the following objectives to build upon the success we achieved last year. Clean Power Plan Implementation: We must work hard to lay the groundwork for successful state implementation of the Clean Power Plan by building and demonstrating moderate and conservative support for moving forward with responsibly developed clean energy plans that use market-based approaches to create economic opportunity and reduce pollution. Stopping High Carbon Intensive Fuels: We must continue to build on the remarkable progress in slowing and stopping dirty fuel extraction and transport. The rejection of the Keystone XL tar sands oil pipeline has signaled the end of the era of green-lighting polluting fossil fuel infrastructure. Similar pipeline projects like the Albert Clipper tar sands oil expansion in the Great Lakes region also need to be denied, and coal leasing and mining practices need to be reformed to ensure that coal companies bear the full cost of the climate and habitat impacts of their activities so that these costs are no longer passed on to the public. Additionally, it is past time to phase out wasteful and destructive public subsidies to fossil fuel companies. Reducing Methane Pollution: EPA must finalize a rule to limit methane pollution – a greenhouse gas that is 80 times more potent than carbon dioxide over the short term – from new sources of oil and natural gas production. It is equally critical that EPA begin and finalize rulemaking for limiting methane pollution from existing sources of oil and natural gas production. Additionally, the Bureau of Land Management should issue and finalize rules regulating methane waste from oil and gas production on federal land. Putting a Price on Carbon: In order to achieve the level of pollution reduction ultimately needed to avert unsustainable impacts, we need action from Congress that will shift the cost of carbon pollution onto the polluters and create a fair market where clean energy sources will thrive. Carbon pricing is already in place in many places, like the Northeast and British Columbia, with favorable results in reducing pollution and creating jobs. While it is unlikely Congress will act to price carbon in the near future, support for climate action is growing and more regional mechanisms to price carbon are likely to occur. Congress needs be part of the solution going forward. Advancing Clean Energy Like Offshore Wind: In addition to continuing to build on impressive gains in onshore renewables like solar and wind power, 2016 needs to be the year we significantly ramp up our commitment to responsible development of the massive offshore wind potential in the Atlantic. The Deepwater Wind project off Rhode Island will be America’s first offshore wind project, but it is only a sliver of the vast potential we can harvest. 2016 should be a breakthrough year with heavily populated states Massachusetts and New York further turning away from fossil fuels to light their cities with wildlife-friendly offshore wind. NWF will be working hard in 2016 to make sure these priorities are realized. Let’s make this year even better than the last in achieving progress to protect wildlife from the harms of global warming. Help NWF achieve its 2016 conservation goals and more!